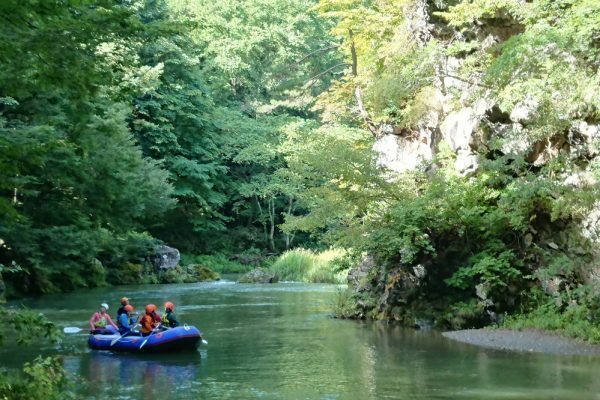 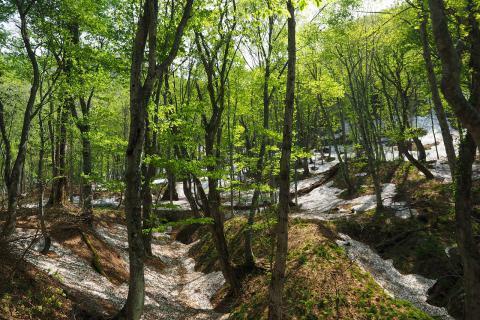 The Meya Ravine, created by the upper leg of the Iwaki River and water source for the Shirakami Sanchi, is one of the most outstanding scenic spots in Aomori Prefecture. 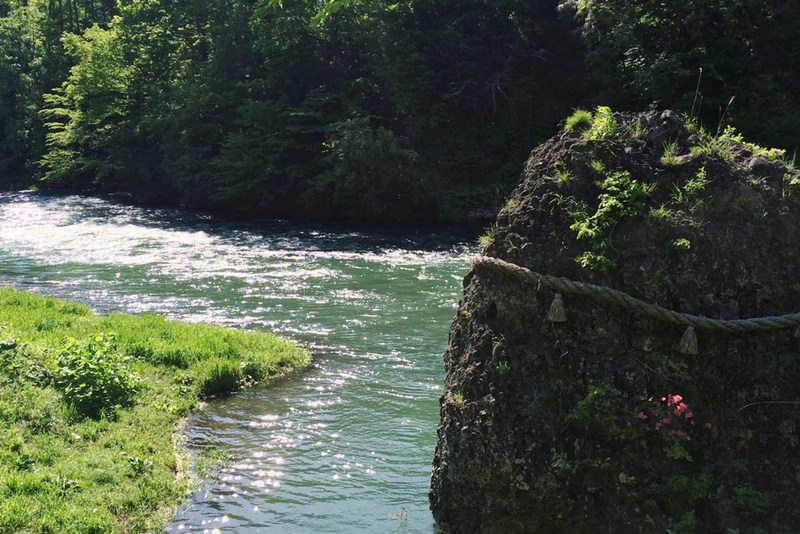 Come see the beautiful budding spring plants or the autumnal leaves, and visit a variety of spiritual locales, like the deeply profound Iwaya Kannon (Guanyin) Statue or the Nio Waterfall of the Fierce Buddhist Deity Fudo Myo Ou. 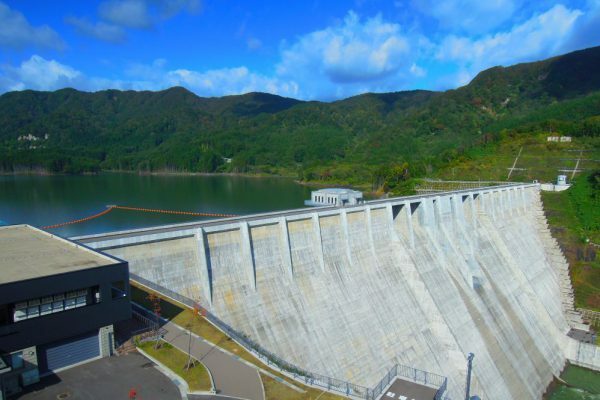 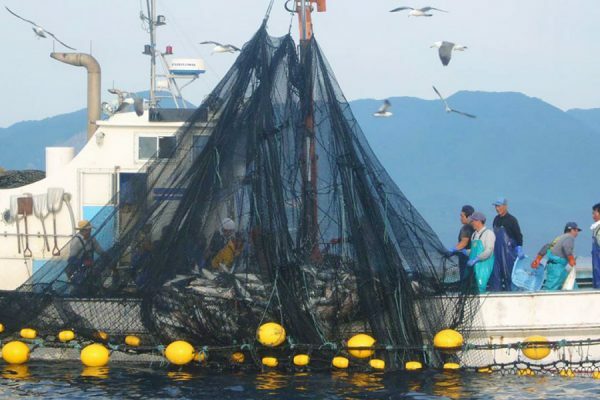 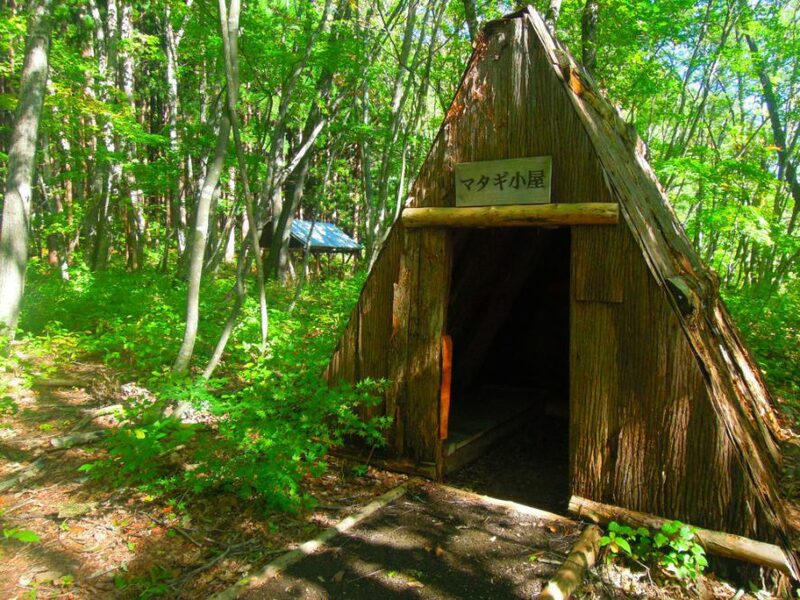 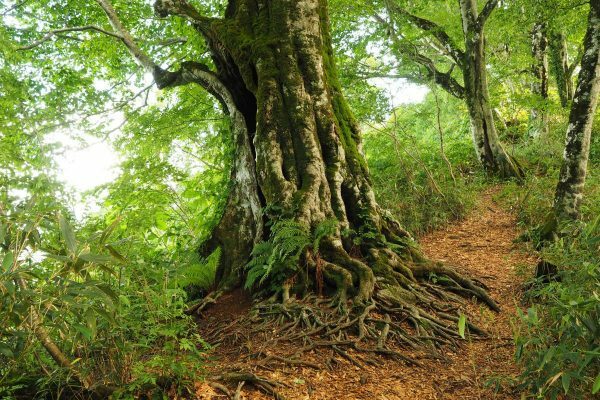 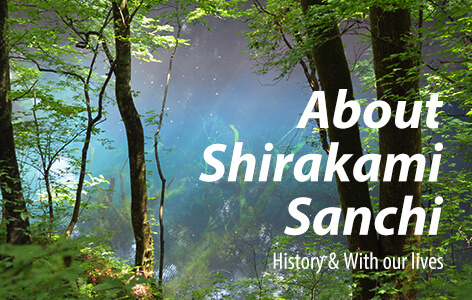 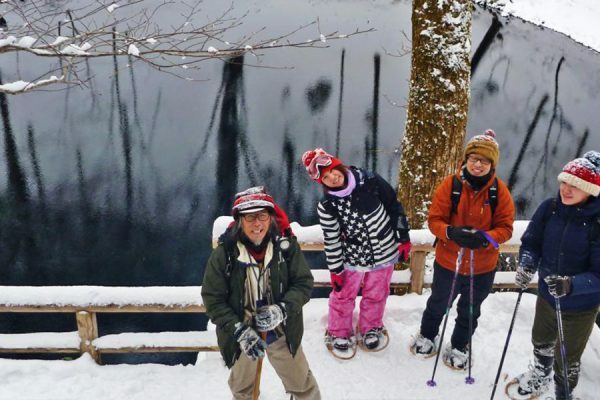 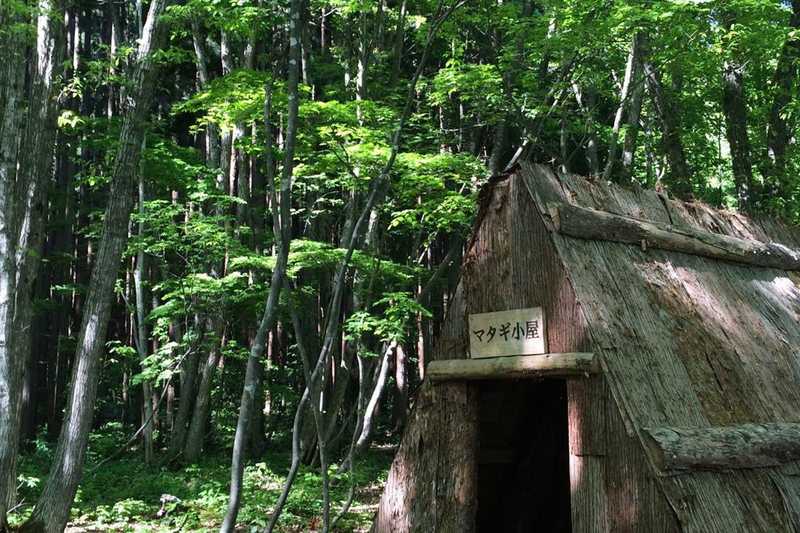 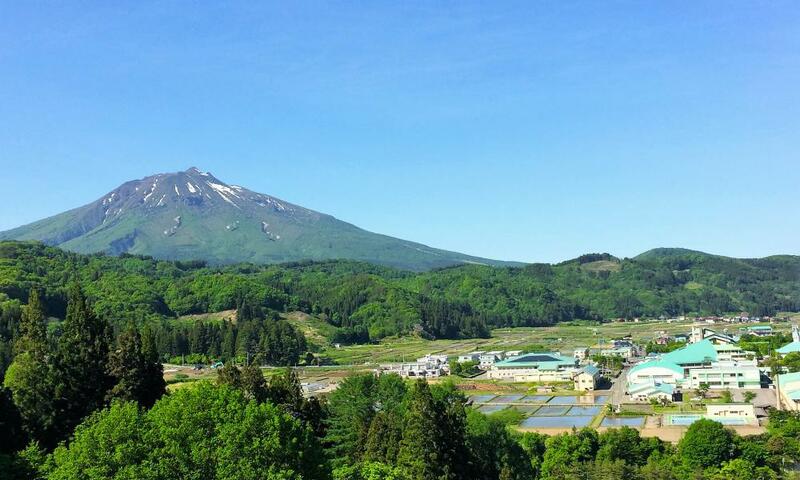 A guide from the village will explain the ways Nishimeya coexists with its surrounding nature while giving you an opportunity to see some of that lifestyle firsthand.